Usually at this time of year, our hillbilly band goes to Death Valley for a long weekend of music, desert hiking and bad food. But sadly, there was a fire in the kitchen at Stovepipe Wells so the Badwater Saloon is closed and our gig was canceled. Several of us decided to spend a long weekend in Cambria instead. The weather was cooler, the accommodations more comfortable, and the food much better. 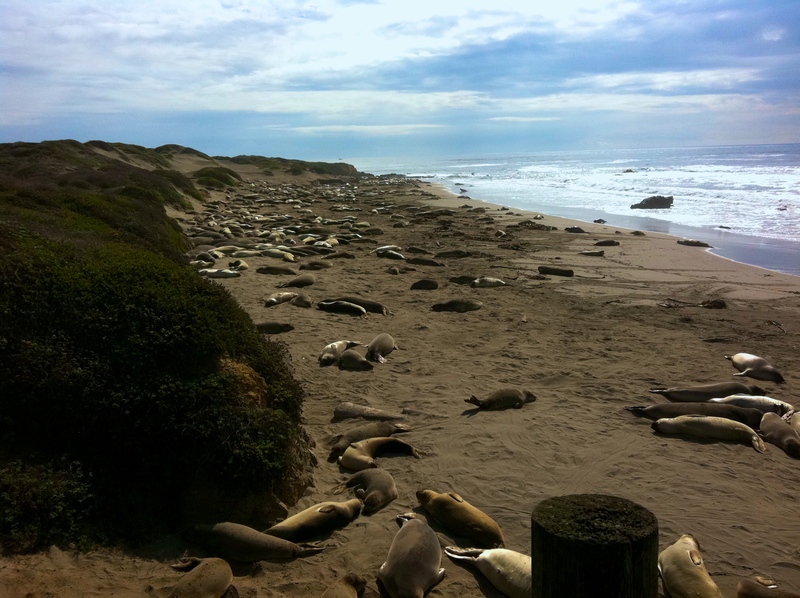 There’s nothing quite like a beach littered with elephant seals. This time of year they’re peacefully napping, but in a few months the beach will be a war zone of males fighting it out to determine who gets to breed and who doesn’t. We got to see our old friends Jerry and Kathy who live close by in Paso Robles. 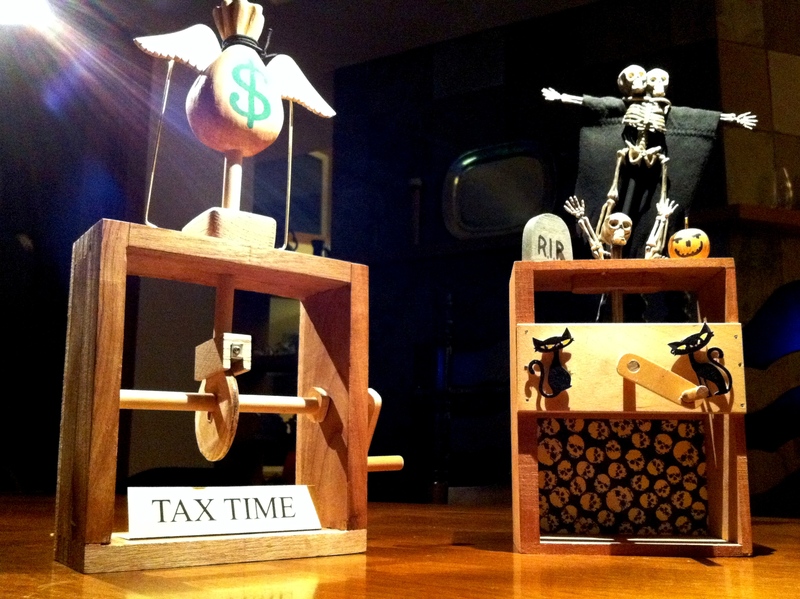 Jerry brought a couple of his wonderful automatons over for us to see. This entry was posted on Monday, November 8th, 2010 at 5:45 am	and posted in Uncategorized. You can follow any responses to this entry through the RSS 2.0 feed.